An introduction to Deal Drafting in synergist. This covers creating, editing and deleting drafts. Drafting in synergist is a great way to get started making a new deal. Once a draft is created, you'll be able to prepare it quickly by making any changes necessary before sending it out to your recipient. 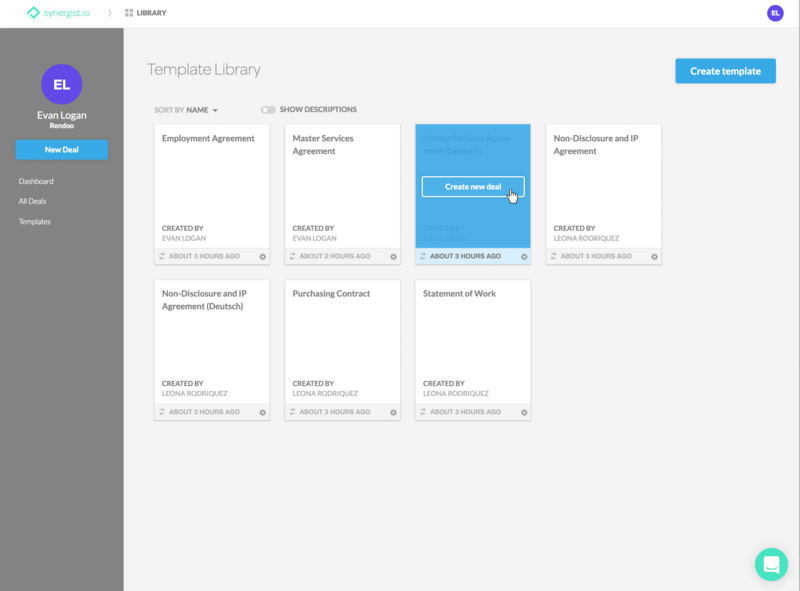 From the Templates tab in the dashboard, click on one of your templates to create a new draft and be navigated to it. You've now made a "forked" version of the template you selected which contains the template's document plus all of its fields and smart clauses. 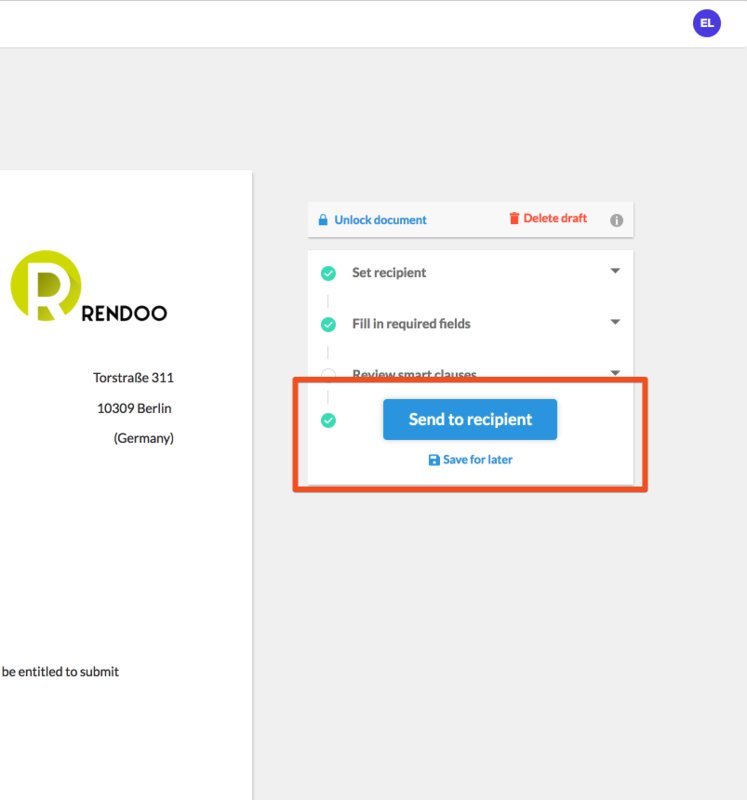 On the right hand side is a sidebar which shows you the steps necessary to complete the draft before sending it to your recipient. 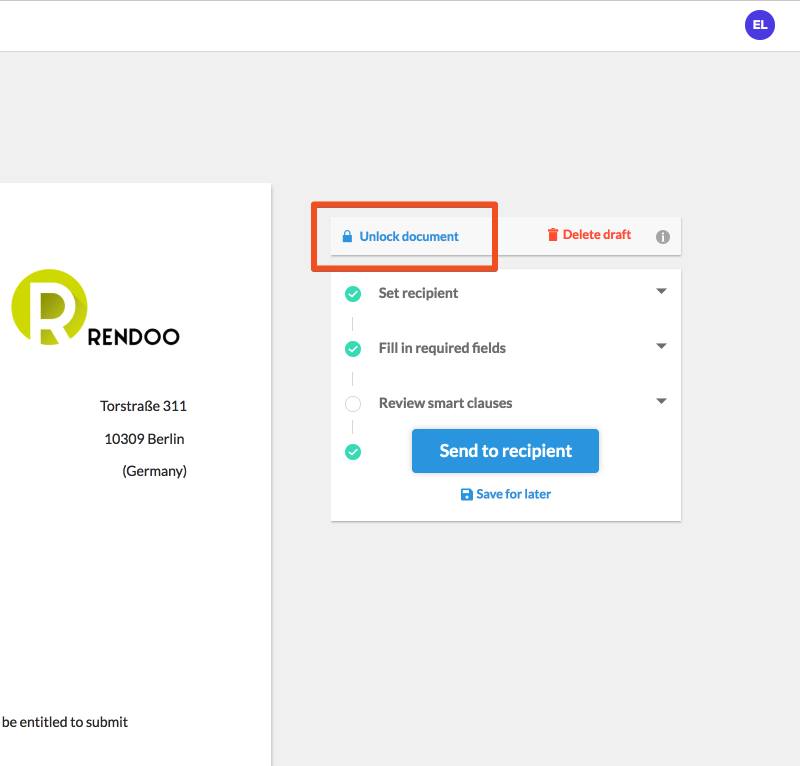 Here you can input the recipients information, fill out any fields required from your side and review and set smart clause positions. Once you have completed the required information you can either send out the draft straightaway or save it and come back later to make more changes. Sometimes a template needs to be modified for a particular one-off deal. 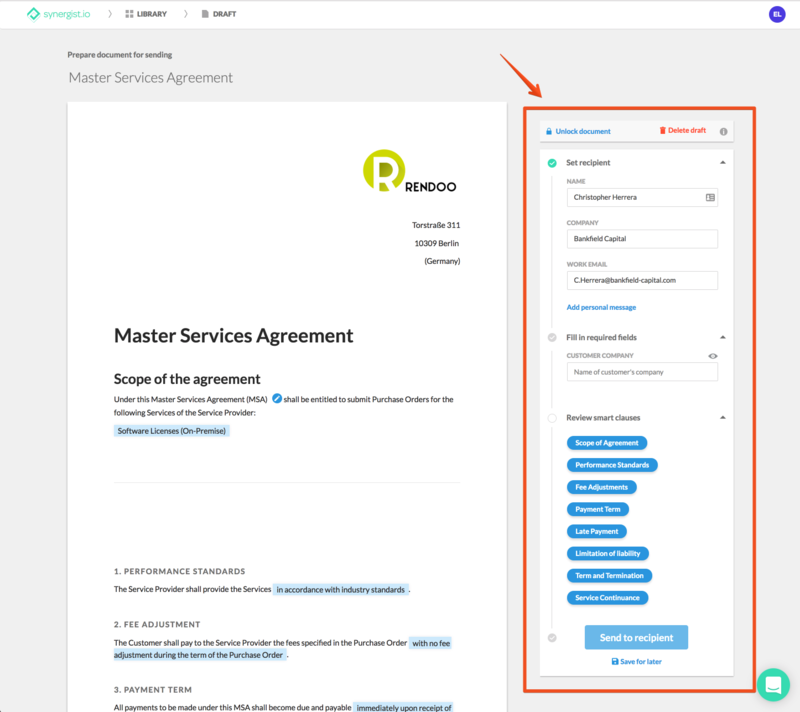 For example, by adding or removing paragraphs, fields and clauses. By making a draft you have created a forked version of the template. Because of this, you can make any and all necessary changes without affecting the master template. In this unlocked mode of the draft you have the same complete editing access you would when editing the master template. Here you can also add smart clauses and fields that are only relevant to this draft. This is helpful when you have one-off information you would like to keep track of . When you are finished click "Lock document" in the sidebar to go back to the locked mode and save your changes. Open the draft and in the top right of the sidebar you will find an information button. Clicking this will display information about the draft. In the Templates tab of the dashboard, click the settings-wheel of the desired template to find the "Edit template" button.